Backlinks in blogger, blogger seo tips, website/blog backlinks, Backlinks for blogger seo, High quality back links for blogger, 101Helper blogger seo tips. One of the secrets to get more web traffic is building backlinks. A blog's traffic and its popularity depends on Seo and seo needs many things to be proper for better results. Seo of a blog depends on content, meta tags, keywords, post titles, blog title, internal linking, links, images and backlinking. Creating back links is one of the most popular method to boost traffic. Backlinking is not important for seo only but it is important for a blog's rank too. A backlink is a link which relates a website/blog to another blog or website. A blog with more backlinks is more popular than a blog having less backlinks. But backlinks are of two type. High quality backlinks are those links which are created on popular blogs, website, social sites etc and low quality backlinks are those links which are created on common blogs or websites, these links decreases a blog's rank despite of increasing it. Creating a backlink is not a difficult thing its very easy. To create a backlink you have to put your blog's homepage link or a post link in another blog or website, you can do so by leaving a comment. But before leaving a link on another blog or website, make sure that it is a popular blog or website, otherwise it will be called as black hat seo which results in low seo and low page rank. Another thing about creating backlinks is that now a days some websites and social exchanging sites offer to create backlinks by earning points but these backlinks are not of high quality so avoid using this type of methods to create backlinks. How to create quality back links for blogger? Creating back links by leaving comments is so easy but it only works when a blogger or website owner approves your comment. You can leave your backlinks on forums too. But keep one thing in mind while leaving a comment that write something which makes that blogger(admin of blog) feel good like "Good job, nice and helpful post, very interesting post etc" and beside it leave your link. If you don't leave an interesting comment there is no chance that Admin will approve your comment. To leave a link in comment you have to use <a href="your link here">your text here</a> in comment and publish it. Replace your link here with your link and your text here with text of link. Second method to create quality back-links is sharing links on social networks. To share your links on social networks add a social sharing gadget(buttons) in your blog and ask your visitors to share your posts. If you don't get enough shares you can share your links on your own social profiles. 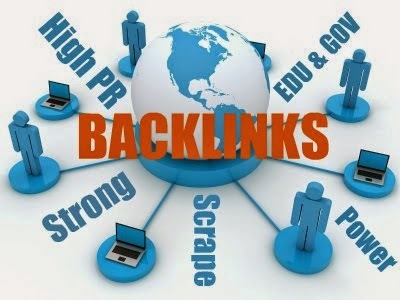 One of the easiest and effective method to create backlinks is creating interesting, meaningful and brief posts that contains images, demos, charts and gif images so that it is able to explain everything deeply and achieve interest of visitors, it will make visitors to share your post without asking and hence help you to create quality back-links. Guest blogging is also a good way to get high quality back links. It not only helps you to get more audience but you can leave backlinks on your guest posts also, so if you don't get traffic from those links, you improve your blog rank by writing posts and helping out someone. You can find a good place on Google for guest blogging, I recommend you to use reddit. If you are an active reader you might have read on forums and familiar with forums. Forum is a place where people interact with each other and help each other about problems like blogging, programming, downloading, gamming etc, you can use forums to create quality backlinks by helping out others. All you have to do is to find forums and sign-up to leave comments. You can create backlinks by giving gifts to visitors. Don't worry you don't have to spend money. This gift may be a free e-book or an offer to design template for others for free and with these gifts you can send your backlinks. You can create unique gadgets and speared you link though it. You have to create a gadget first and after that you have to bind your backlink with it. So when someone use you gadget, he will get your link with it which will help you to increase your backlinks. You can create backlinks on Youtube also by creating video tutorials. Hope you like this post. If you have any question ask me in comments. Share this post with others and subscribe to news letter to get latest updates about blogger seo tips. Search tags: Backlinks in blogger, blogger seo tips, website/blog backlinks, Backlinks for blogger seo, High quality back links for blogger, 101Helper blogger seo tips.